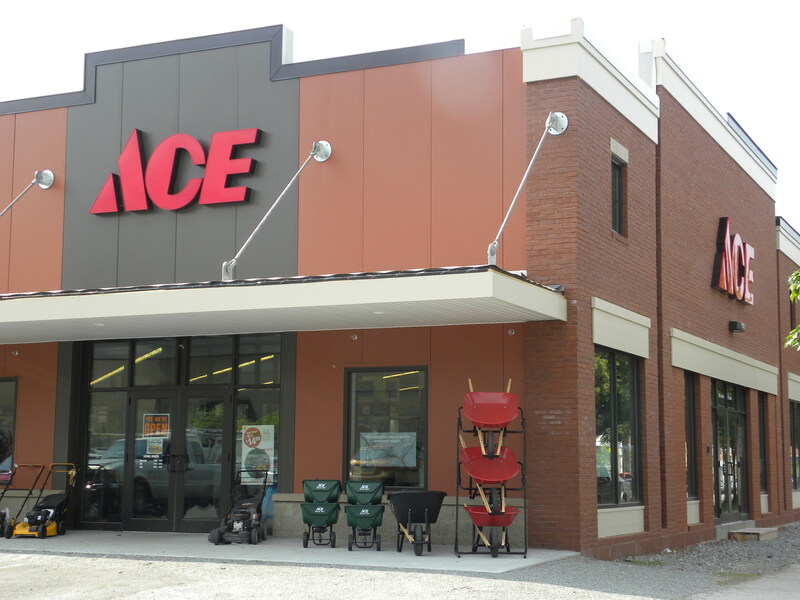 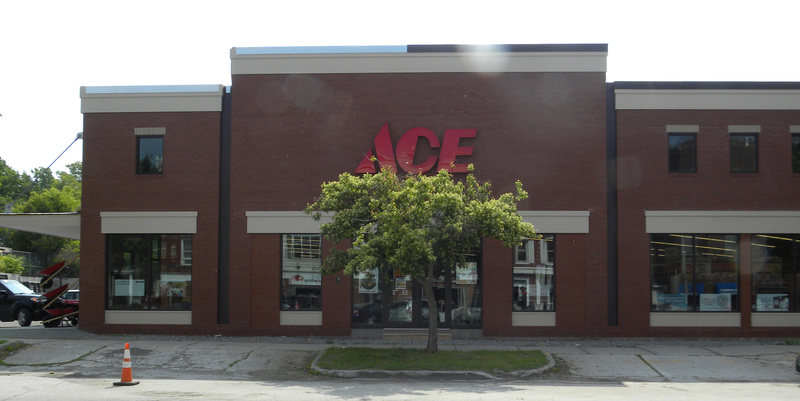 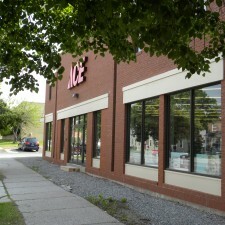 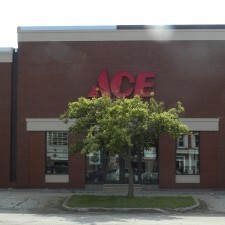 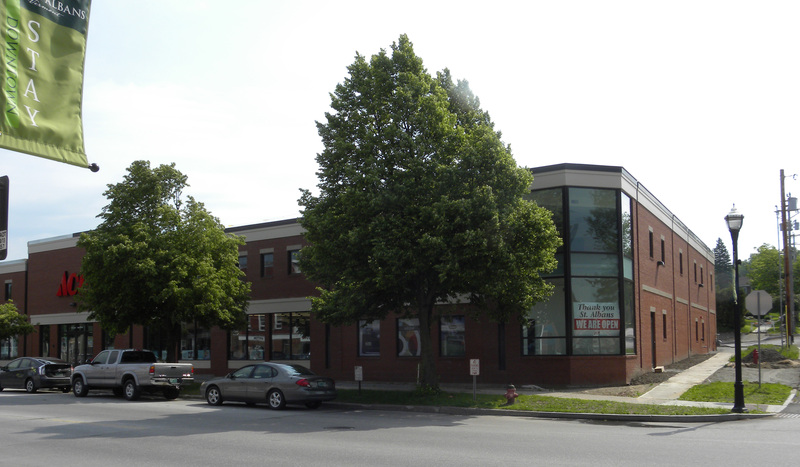 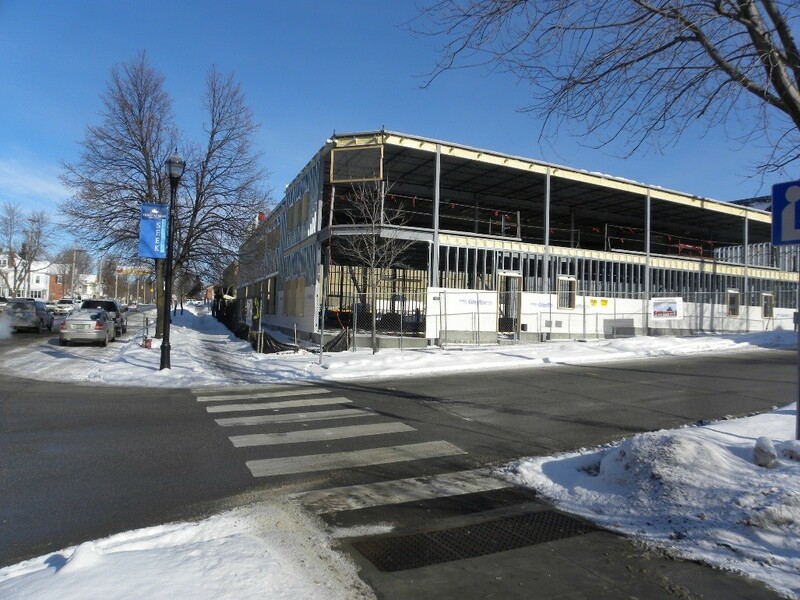 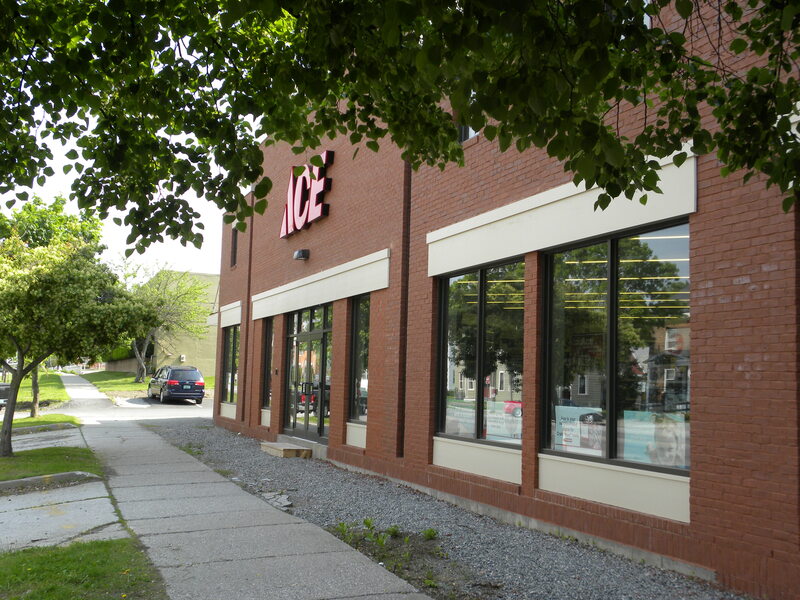 ACE Hardware | Ruggiano Engineering, Inc.
Ruggiano Engineering, Inc. provided engineering services for the ACE Hardware project site, which is located at the corner of Congress Street and Main Street in downtown St. Albans City. 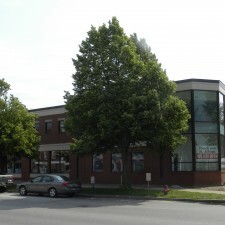 This unique project included redevelopment of a site where environmental contamination was found to be present, which entailed extensive investigation, coordination and permitting with the Vermont DEC. Old hydraulic lifts and leaky underground gasoline storage tanks were discovered at the site along with a wide spread plume of acetone from historical uses including a paint shop and cabinet finishing. 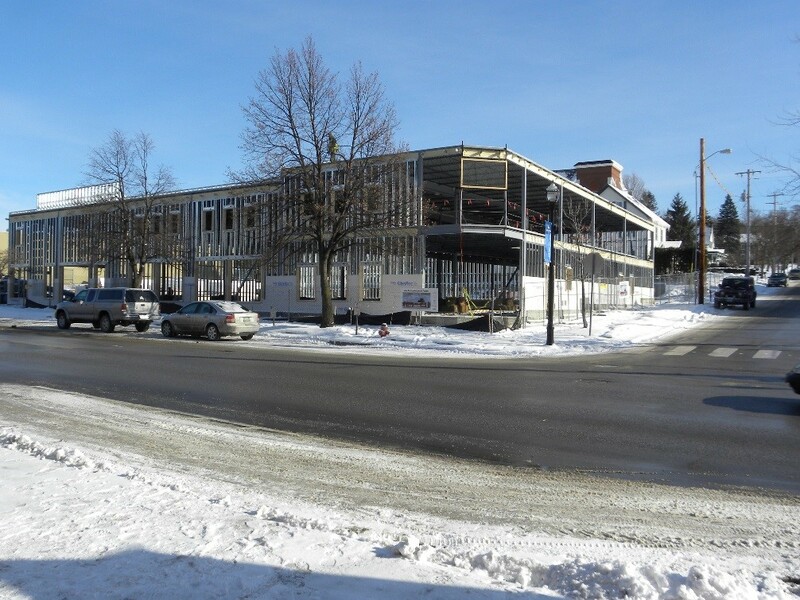 The vast area of contamination required a corrective action plan (CAP) and environmental planning in order to sufficiently protect human health and the environment. 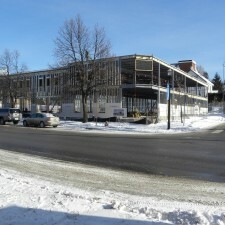 The CAP consisted of excavation of soils in the area of heaviest contamination, injection of oxygen releasing compound (ORC) removing and disposing of two subsurface hydraulic lifts, installation of horizontal sub-slab depressurization laterals and continued monitoring of groundwater and indoor air quality. 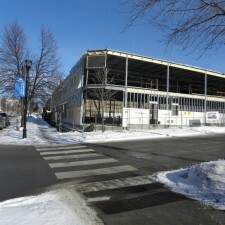 REI also provided structural engineering services for this project.